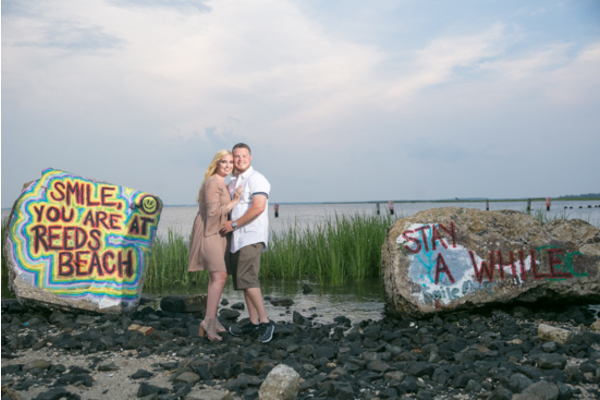 Congratulations to Chrissy and Richard on their recent engagement! 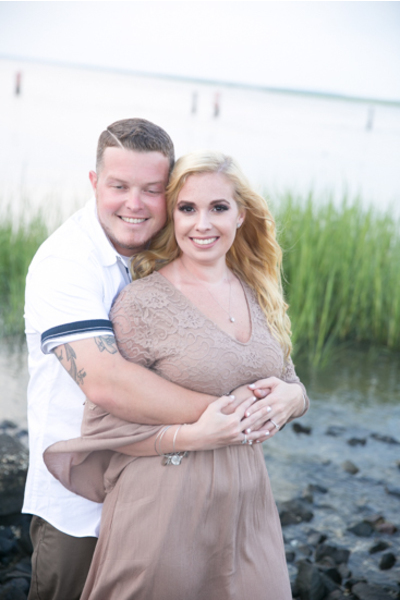 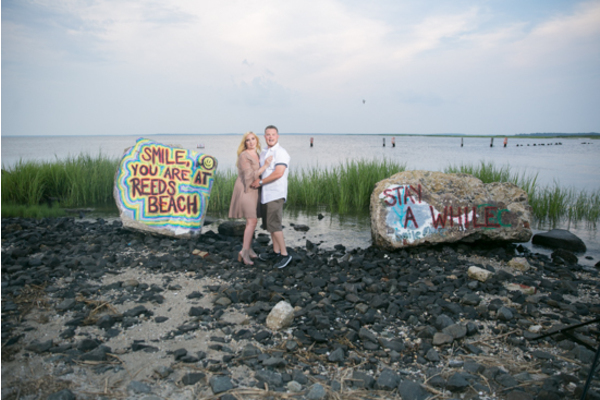 They will be tying the knot at Jessie Creek Winery in Cape May this fall. 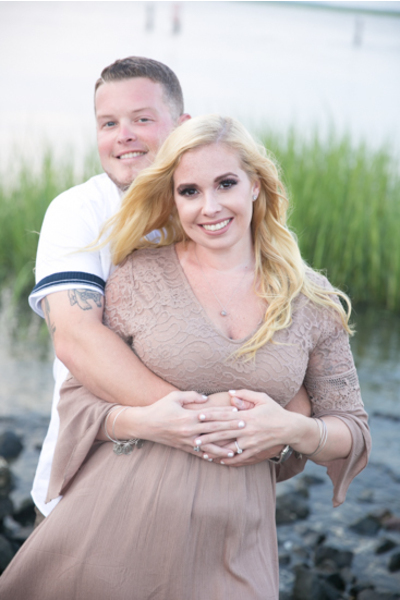 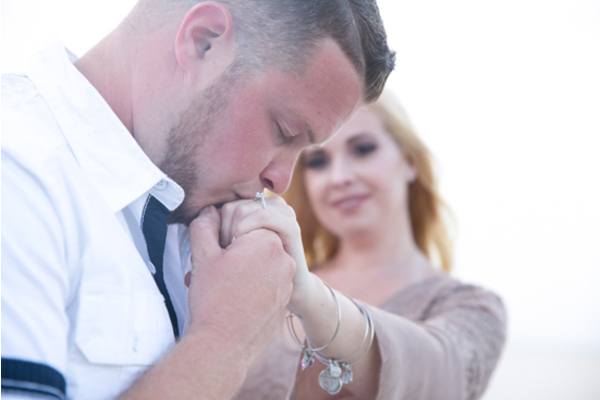 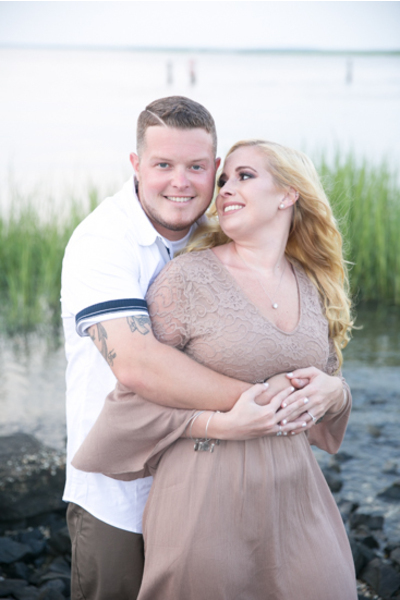 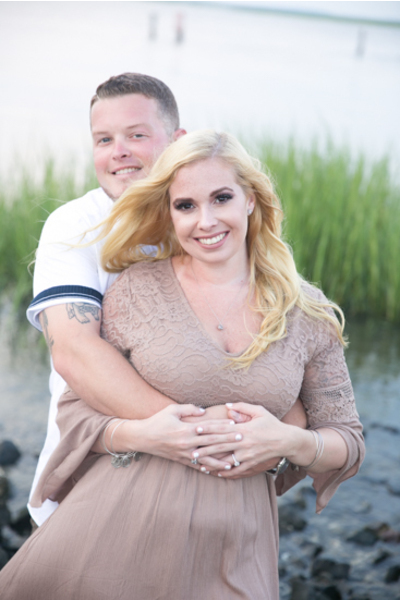 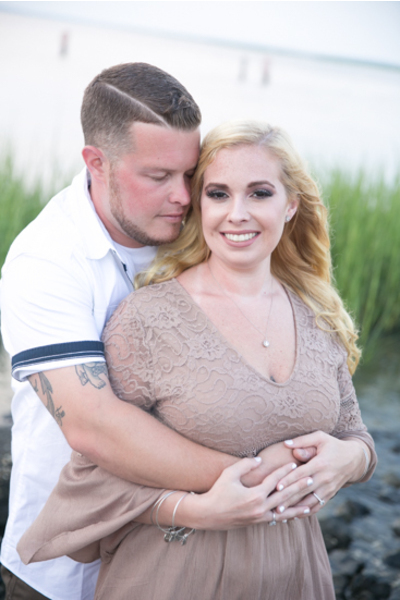 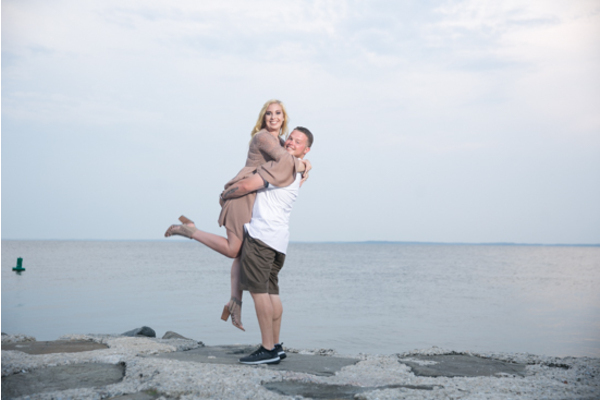 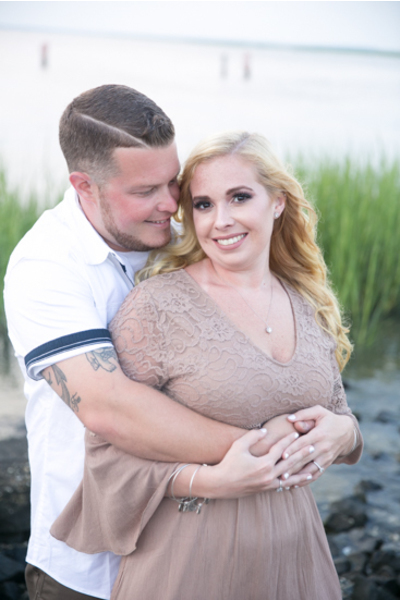 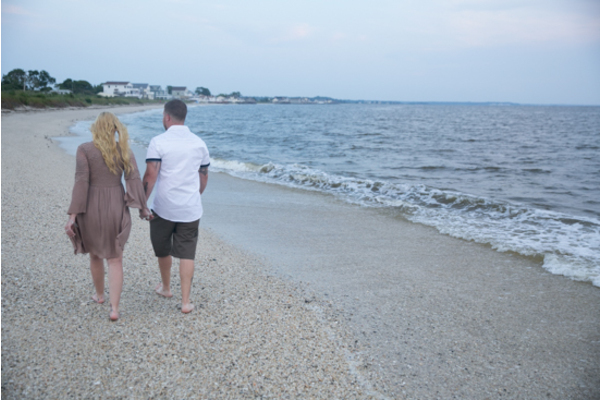 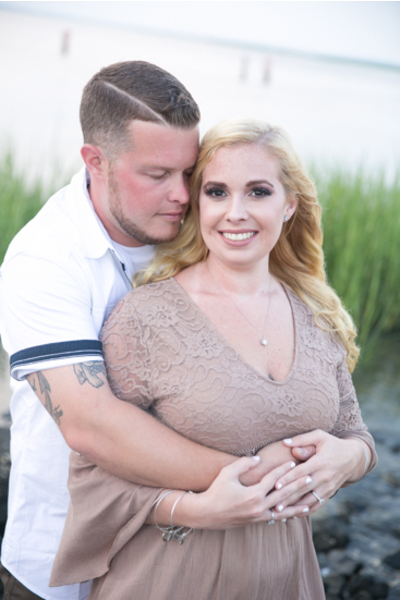 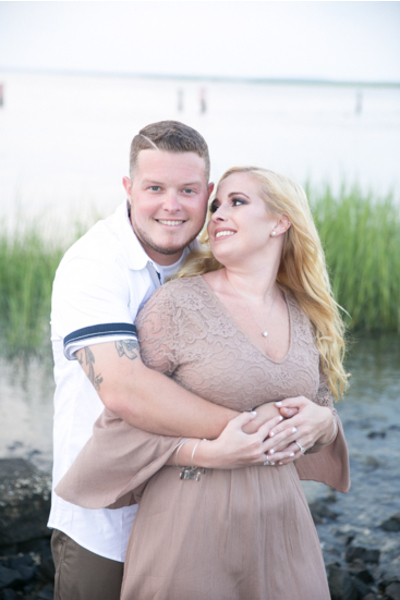 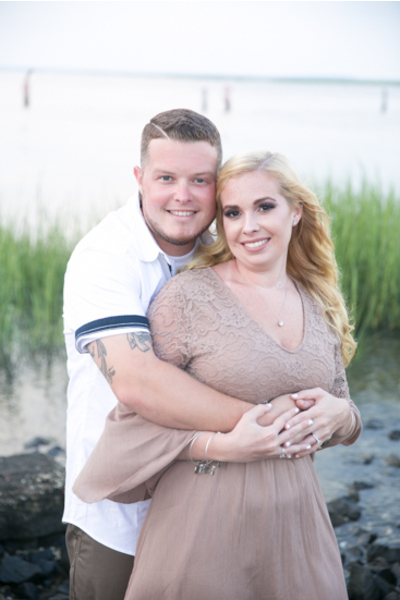 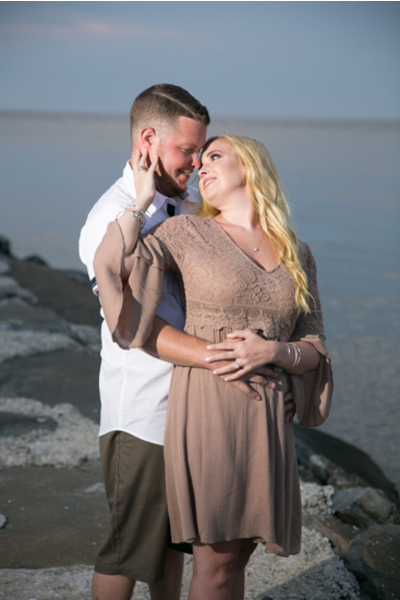 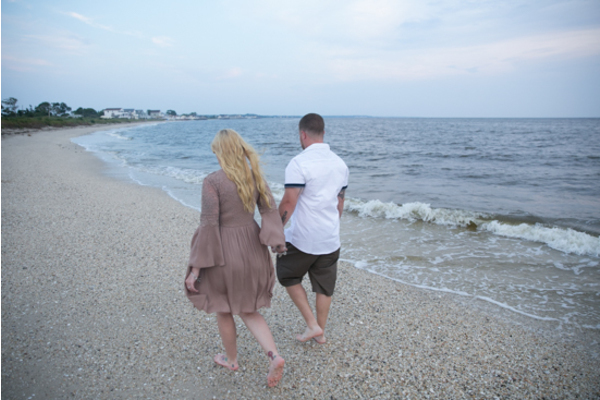 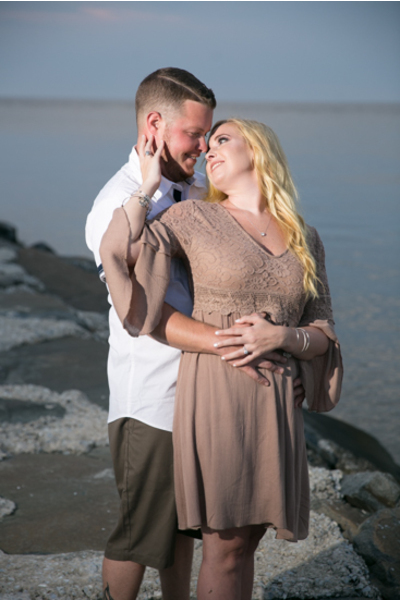 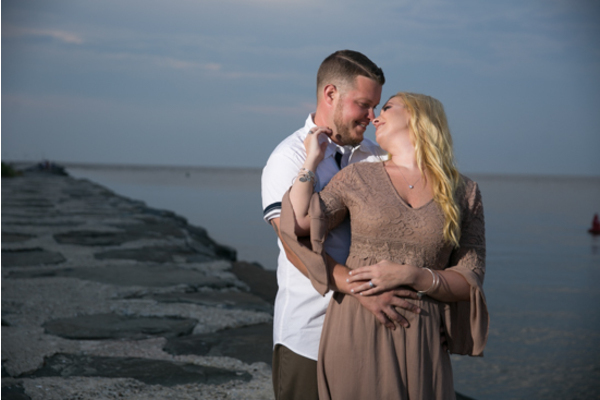 With just a few months left until their big day, we cannot help but imagine how perfect their wedding photos will be, thanks to our NJ Wedding Photographer. 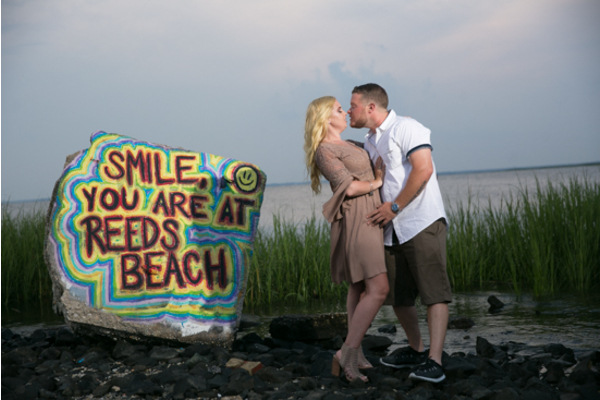 Chrissy and Richard were glowing with love and eager smiles as they celebrated their engagement on the beach. 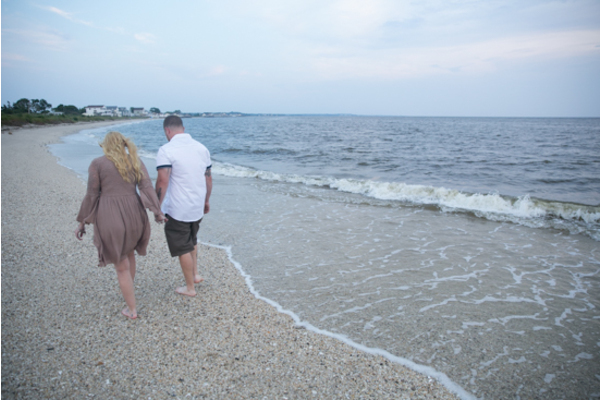 The waves were crashing and the wind was blowing that day, which made for the most stunning pictures! 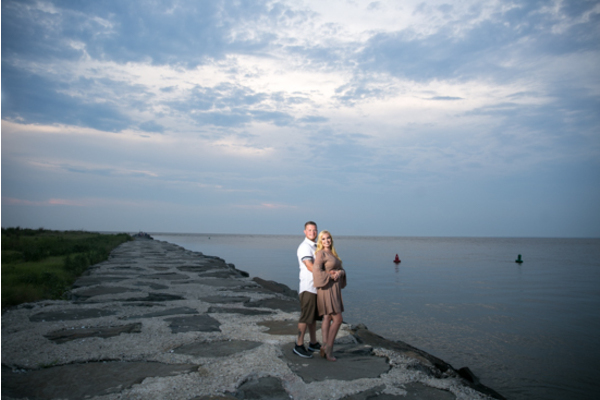 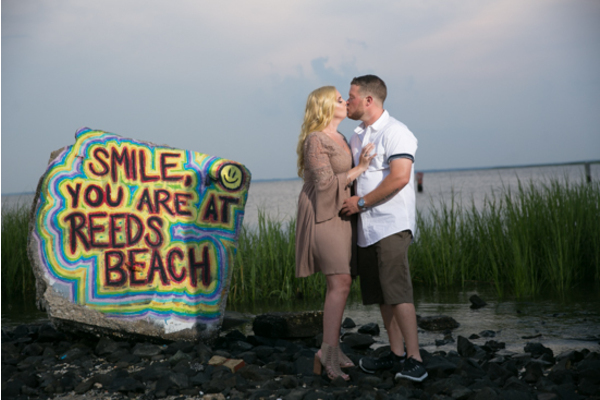 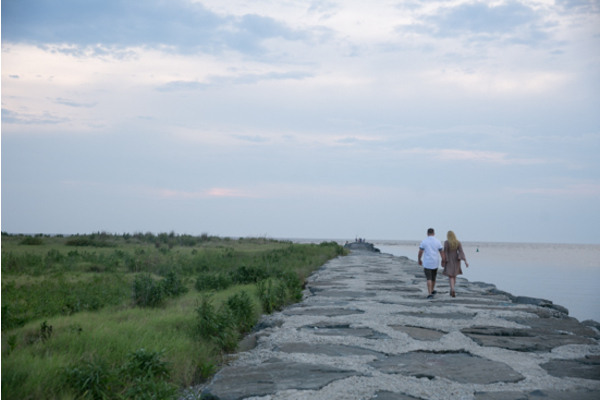 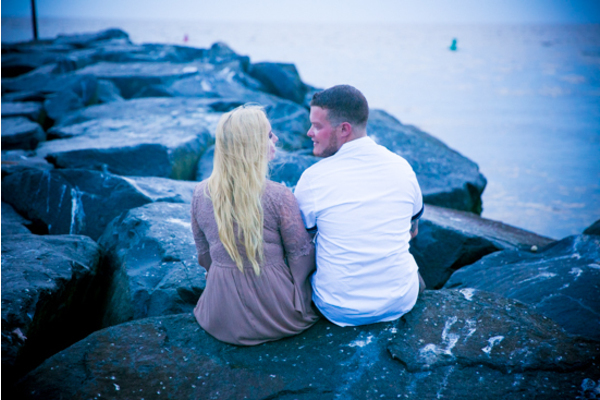 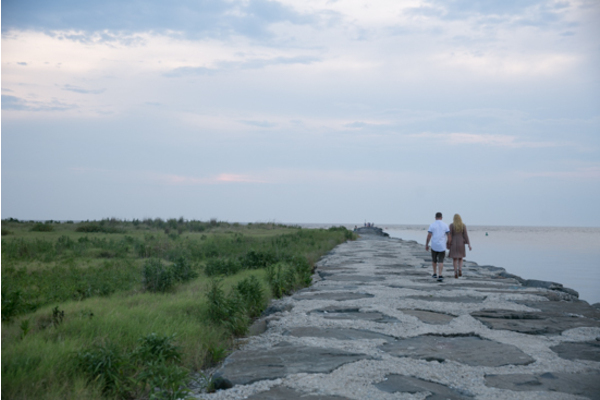 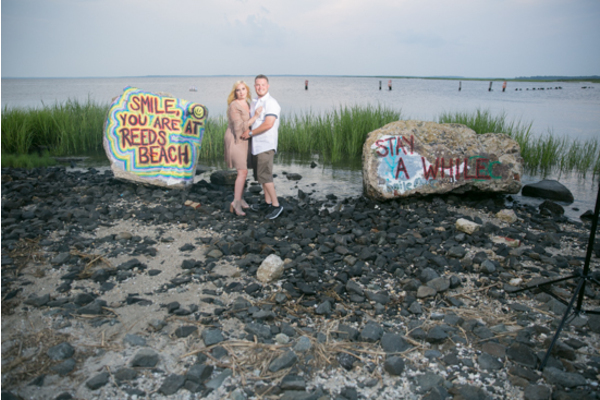 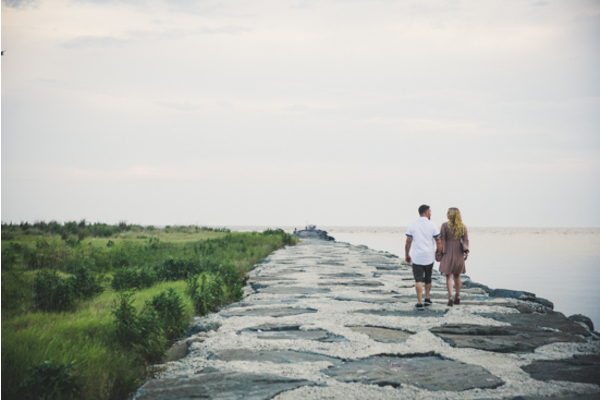 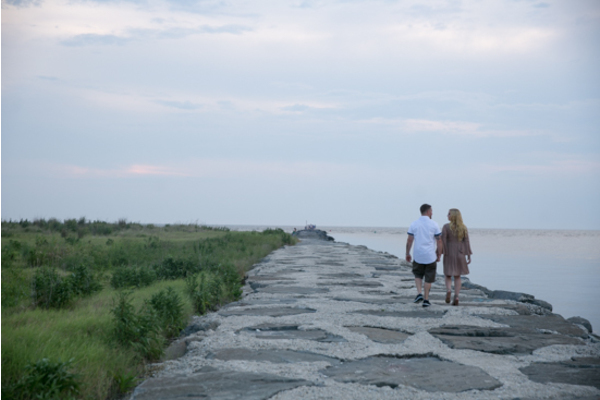 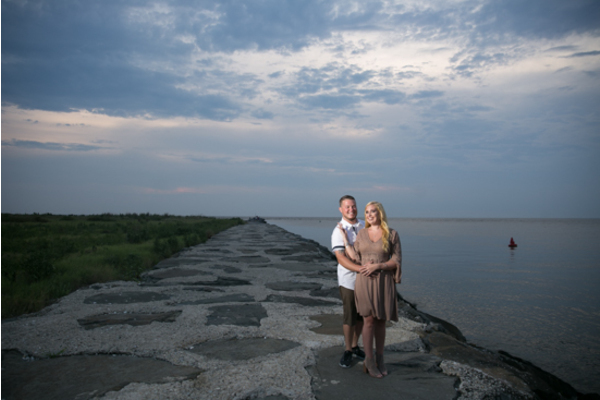 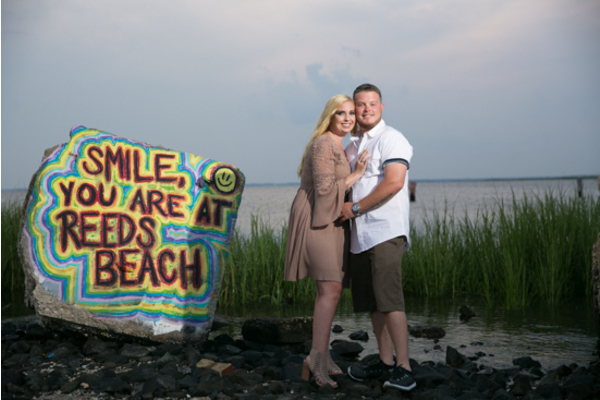 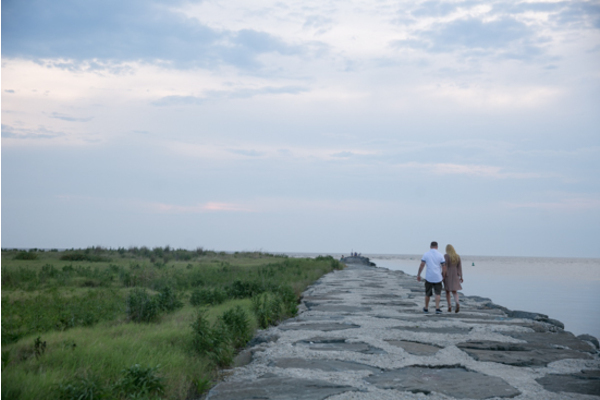 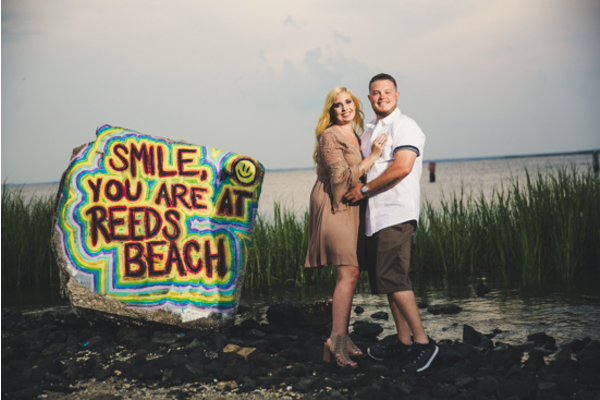 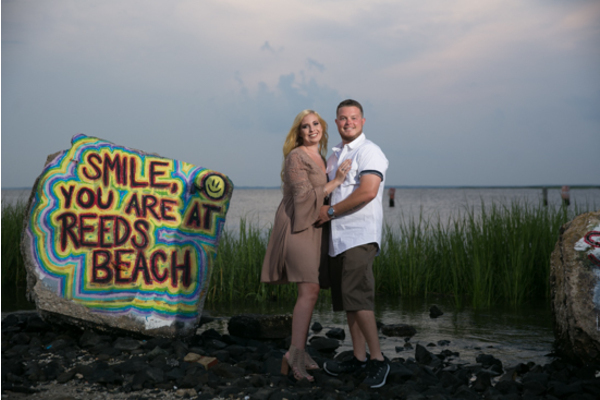 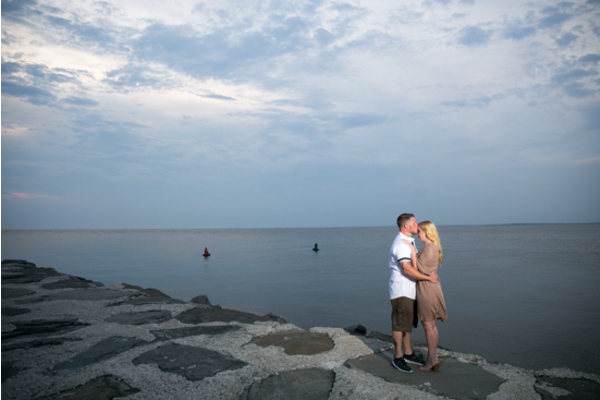 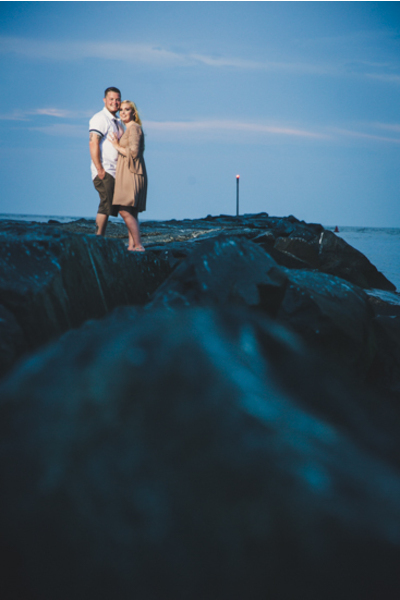 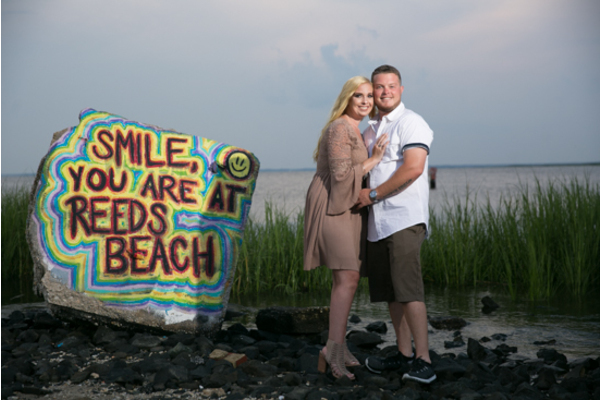 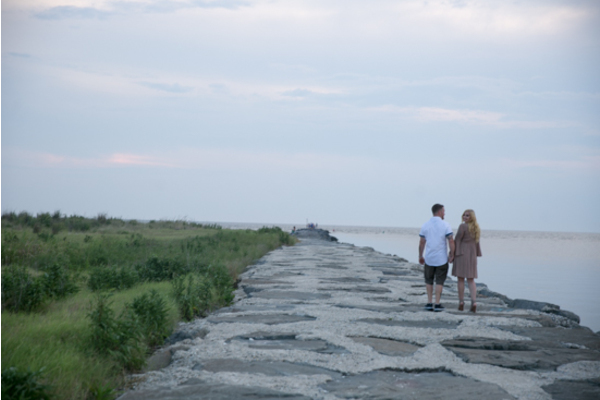 These lovebirds started their day posing between two huge graffiti painted rocks that read “Smile you are at Reeds Beach” and “Stay A While.” As the sun started to set, our NJ Wedding Photographer took shots of these two on the Jetty. 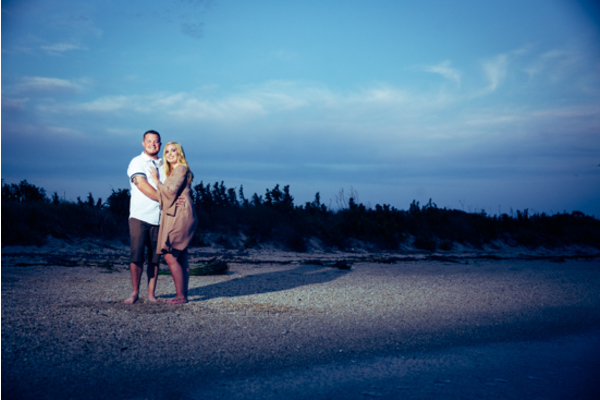 Their reflection was shimmering across the blue ocean! 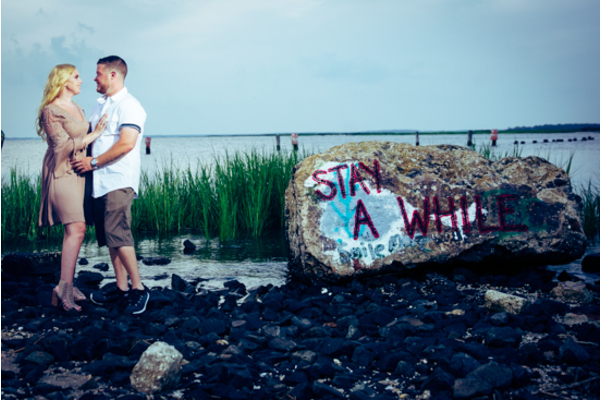 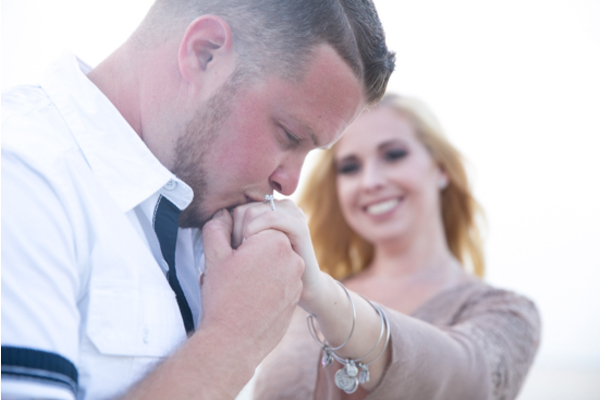 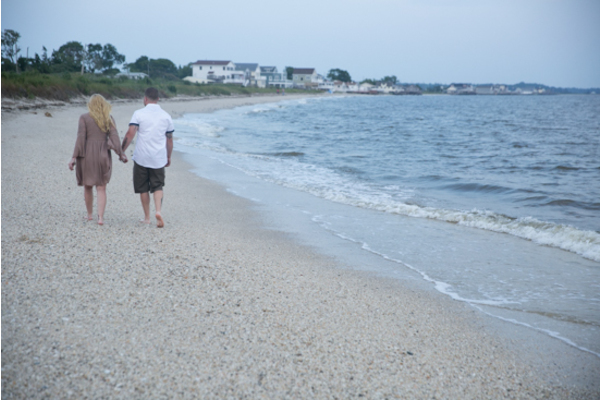 Soon, our NJ Wedding Photographer will be back for their fall wedding for more captivating photography. 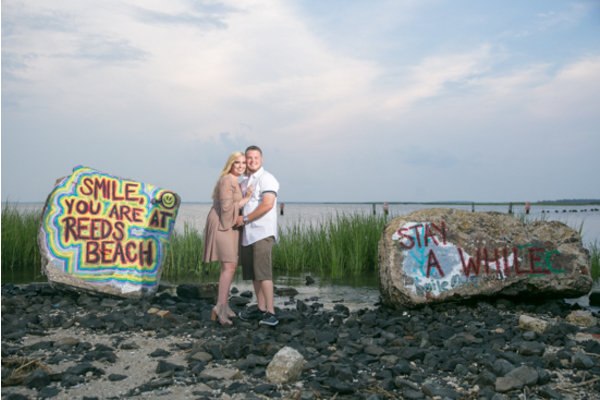 Congratulations, again, to Chrissy and Richard on their engagement! 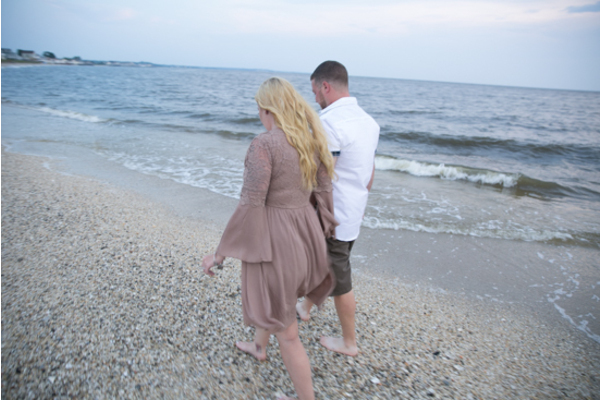 It’s almost time to make all your dreams become a reality!